Deb Silkware Protection Ltd was established in 1941 by A.B. Williamson to sell ‘Deb’ the world’s first ever rinse-aid, a formulation he invented to help preserve the life of ladies’ silk stockings. The name ‘Deb’ originates from the word ‘Debutante’, the traditional name given to girls making their first appearance in society. In 1947, Deb invented ‘Swarfega Antiseptic Hand Cleaner’ the product the company became best known for. The famous green gel was originally sold through motorcycle dealers, chemists and barbers shops. Today, Deb comprises 21 companies operating in 16 countries and with products sold in over 100 countries. It is estimated that 40 million people worldwide use its products every day. Based in Denby, Derbyshire, the brand new global 150,000 sq ft headquarters, research development centre and European manufacturing site – known as the ‘Denby site’ – includes an extensive warehouse, state-of-the-art production facility and three-storey office accommodation. Deb has been an ISO 14001 accredited company since 2001 and has long recognised the impact on the environment from the use of their products and continues to strive to improve environmental management. Leading the market with innovative formulations which are environmentally friendly, Deb holds various patents for the use of natural ingredients in their products. Deb dispensers are sold with a lifetime guarantee; this durability means reduced raw material consumption and less landfill waste. Deb’s disposable cartridges are fully recyclable, which also minimises the amount of packaging which needs to go to landfill. Deb is the market leader with innovative formulations which are environmentally friendly. Product development includes an environmental impact study at the feasibility stage and every new product improves upon the last. 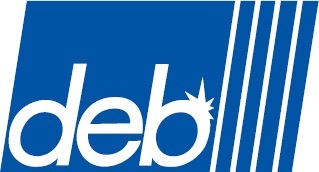 Commitment to continuous improvement and developing new benefits was key to Deb’s investment in its purpose-built facility based in the UK and environmental consideration played a major role in justifying the investment, choosing the location of the new site, and within the design of the building. For over 65 years and drawing on deep technical expertise, the Deb Group has been establishing skin care regimes for all types of workplace and public environments, spanning industrial, commercial, healthcare and food sectors. Deb dispensing systems are designed to be cost effective and provide the highest hygiene levels for their users. The dispensers offer superior convenence – quick and easy to use – and are guaranteed for life. 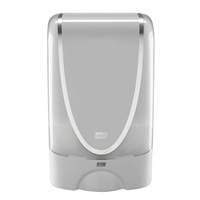 Additionally, the Deb market-leading Customer Dispenser Service incorporates cutting edge print tecnology, enabling the dispensers to be uniquely tailored to customers’ individual specifications. The Deb Commercial Skin Safety regime will reduce the cost of skin care provision in an organisation and offers low cost-in-use product and the potential to reduce the many indirect business costs associated with workplace skin problems. 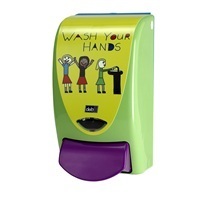 The Deb approach will provide benefits in a four step product range, Protect, Cleanse, Sanitise and restore to control the spread of germs, reduce the risk and cost of absence from work and motivate improved hand hygiene.